Although it does not look like it, we saw Annie today and thoroughly enjoyed the movie. I usually don’t like it when a remake is made of an original with liberties taken, but I will totally forgive the writers. 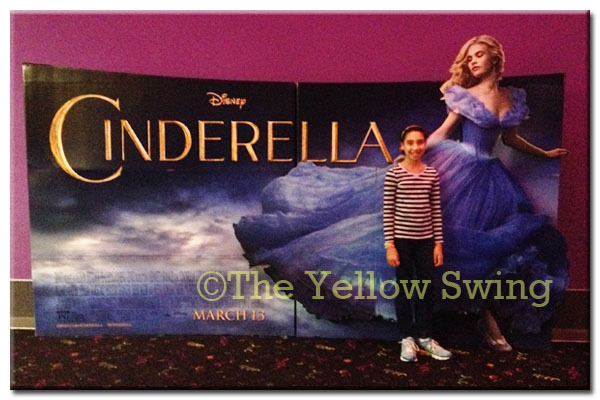 Of course trailers were shown for upcoming movies and (now) as you can see above, the next movie that Lily wants to see is, yep, Cinderella. It is amazing how such a basic story can be remade over and over and over again and still be something you want to see. I have seen so many versions of this story and love them all. This on is coming in March and I think we’re headed the movie theater again.